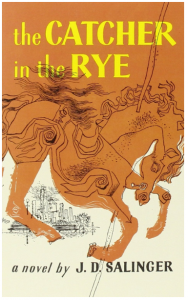 Reading novels in English should be enjoyable and not seen as work or as studying, so it’s important that you choose books that interest you and which you will enjoy reading. Books, and especially novels, are also a great way to consolidate grammar knowledge and learn new vocabulary. Therefore, choosing a novel set in an area or field of interest can be beneficial for learning vocabulary that is useful for you. 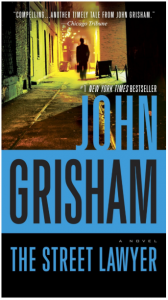 For example, I learned a lot of legal vocabulary in Spanish through reading John Grisham novels translated into Spanish. 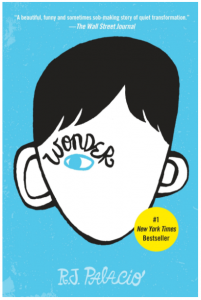 So if you can combine fiction that you enjoy with a topic area that interests you, you’re onto a winner! 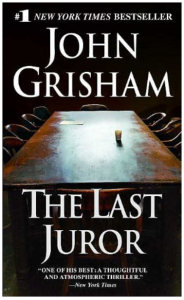 If you want to learn vocabulary related to the world of lawyers, courts and the legal system, any of John Grisham ‘s legal novels would be a great choice. 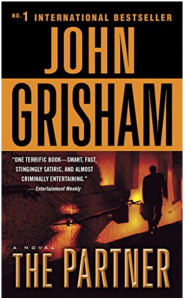 John Grisham is an American novelist, attorney, politician and activist, best known for his popular legal thrillers His books have been translated into 42 languages and published worldwide. When Mitchell McDeere qualified third in his class at Harvard, offers poured in from every law firm in America. Bendini, Lambert and Locke were a small, well-respected firm, but their offer exceeded Mitch’s wildest expectations: a fantastic salary, a new home, and the keys to a brand new BMW. They found him in a small town in Brazil, near the border with Paraguay. He had a new name, Danilo Silva, and his appearance had been changed by plastic surgery. The search had taken four years. They’d chased him around the world, always just missing him. It had cost their clients $3.5 million. But so far none of them had complained. Michael Brock is billing the hours, making the money, rushing relentlessly to the top of Drake & Sweeney, a giant D.C. law firm. One step away from partnership, Michael has it all. 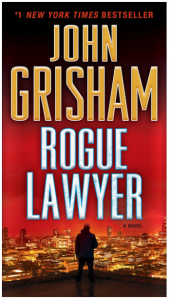 Then, in an instant, it all comes undone: A homeless man takes nine lawyers hostage in the firm’s plush offices. When it’s all over, the man’s blood is splattered on Michael’s face, and suddenly Michael is willing to do the unthinkable. Rediscovering a conscience he lost long ago, Michael is leaving the big time for the streets where his attacker once lived, and where society’s powerless need an advocate for justice. But there’s one break Michael can’t make from a secret that has floated up from the depths of Drake & Sweeney, from a confidential file that is now in Michael’s hands, and from a conspiracy that has already taken lives. Now Michael’s former partners are about to become his bitter enemies. Because to them, Michael Brock is the most dangerous man on the streets. To the surprise and dismay of many, ownership was assumed by 23-year-old college drop-out, Willie Traynor. The future of the paper looked grim until a young mother was brutally raped and murdered by a member of the notorious Padgitt family. Traynor reported all the gruesome details, and his newspaper began to prosper. The murderer, Danny Padgitt, was tried before a packed courtroom in Clanton, Mississippi. The trial came to a startling, dramatic end when the defendant threatened revenge against the jurors if they convicted him. Nevertheless, they found him guilty, and he was sentenced to life in prison. But in Mississippi in 1970 ‘life’ didn’t necessarily mean ‘life’, and nine years later Danny Padgitt managed to get himself paroled. He returned to Ford County, and the retribution began. 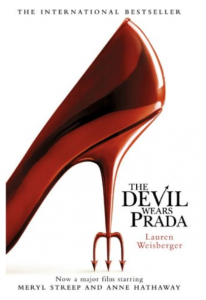 Novels set in businesses or based oaround business people are a great way of combining exciting stories and learning useful vocabulary for a wide variety of business situations. They spend their days – and too many of their nights – at work. Away from friends and family, they share a stretch of stained carpet with a group of strangers they call colleagues. There’s Chris Yop, clinging to his ergonomic chair; Lynn Mason, the boss, whose breast cancer everyone pretends not to talk about; Carl Garbedian, secretly taking someone else’s medication; Marcia Dwyer, whose hair is stuck in the eighties; and Benny, who’s just – well, just Benny. Amidst the boredom, redundancies, water cooler moments, meetings, flirtations and pure rage, life is happening, to their great surprise, all around them. 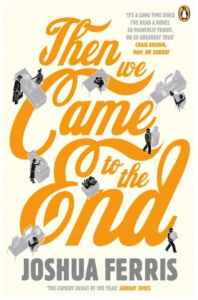 Then We Came to the End is about sitting all morning next to someone you cross the road to avoid at lunch. It’s the story of your life and mine. Bob Slocum was a promising executive. He had an attractive wife, three children, a nice house, and as many mistresses as he desired. 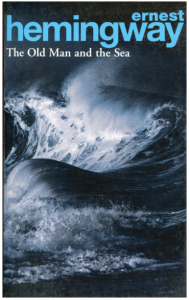 His life was settled and ordered; he had conformed and society demanded he be happy – or at least pretend to be, But the pretence was becoming more and more difficult, as Slocum’s discontent grew into an overwhelming sense of desolation, frustration and fear. And then something happened. . . Welcome to the dollhouse, baby! When Andrea first sets foot in the plush Manhattan offices of Runway she knows nothing. She’s never heard of the world’s most fashionable magazine, or its feared and fawned-over editor, Miranda Priestly. But she’s going to be Miranda’s assistant, a job millions of girls would die for. She soon finds out that Miranda is a monster who makes Cruella de Vil look like a fluffy bunny. But also that this is her big break, and it’s going to be worth it in the end. 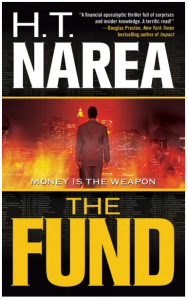 It can be difficult for fiction to be more frightening than the truth when it comes to the world of finance. 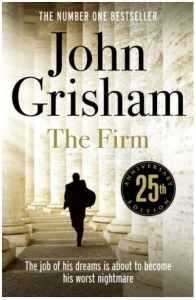 Although they are less prominent and popular than legal mysteries, financial novels have their fans, with stories based on real-life scandals, downfalls and stock market crimes. A more enjoyable way to learn financial vocabulary than studying for a financial exam! Sherman McCoy is a WASP, bond trader and self-appointed ‘Master of the Universe’. He has a fashionable wife, a Park Avenue apartment and a Southern mistress. His spectacular fall begins the moment he is involved in a hit-and-run accident in the Bronx. Prosecutors, newspaper hacks, politicians and clergy close in on him, determined to bring him down. 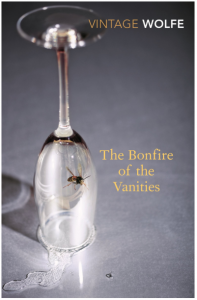 Exuberant, scandalous and exceptionally discerning, The Bonfire of the Vanities was Tom Wolfe’s first venture into fiction and cemented his reputation as the foremost chronicler of his age. U.S. defense intelligence operative Kate Molares is investigating a suspicious international money trail. 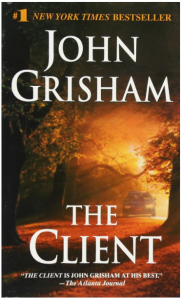 Her instincts place her at the center of a plot involving a frightening new kind of terrorism: financial terrorism, perpetrated by a handsome Middle Eastern hedge fund mogul. His goal is to bring the global economy to its knees. Kate’s mission takes her from D.C. to Venezuela, from Cuba to Connecticut. She must race to piece together this global puzzle, or risk the catastrophic destruction of the world’s financial markets. 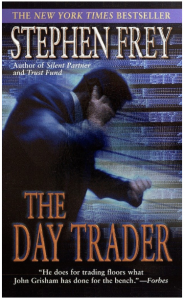 After Augustus McKnight reaps the rewards of a clever online investment, he rushes home to tell his wife, only to discover that she wants a divorce, but when she is brutally murdered, leaving him as the sole beneficiary of her million-dollar life insurance policy, he delves into his job as a full-time day trader and is unexpectedly plunged into an intricate game of intrigue, manipulation, and revenge. Below is a selection of novels which aren’t business related but which are considered to be great stories and enjoyable reads. In some cases, a “Reader Comment” about the book, it’s language and/or level of difficulty has been included from the person who recommended the book. On New year’s Eve disgraced TV presenter Martin Sharp plans to end it all . . . but not, as it happens, alone. Because first single-mum Maureen, then eighteen-year-old Jess and lastly American rock-god JJ turn up and crash Martin’s private party. They’ve stolen his idea – but brought their own reasons. Yet it’s hard to jump when you’ve got an audience queuing impatiently behind you. A few heated words and some slices of cold pizza later and these four strangers are suddenly allies. But is their unlikely friendship a good enough reason to carry on living? 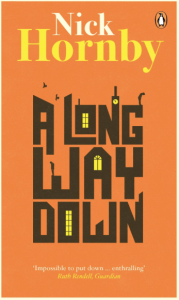 A Long Way Down is a darkly hilarious and moving novel by bestselling author Nick Hornby. 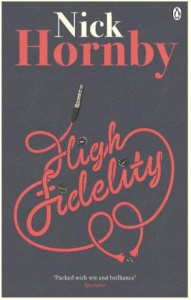 This is my favourite Nick Hornby novel. For Rob Fleming, thirty-five years old, a pop addict and owner of a failing record shop, these are the sort of questions that need an answer, and soon. His girlfriend has just left him. Can he really go on living in a poky flat surrounded by vinyl and CDs or should he get a real home, a real family and a real job? Perhaps most difficult of all, will he ever be able to stop thinking about life in terms of the All Time Top Five bands, books, films, songs – even now that he’s been dumped again, the top five break-ups? 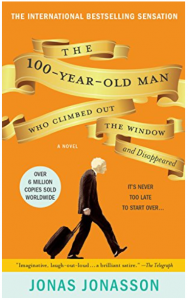 Memorable, sad and very, very funny, this is the truest book you will ever read about the things that really matter. Will Freeman is thirty-six, he’s as hip as a teenager. He’s single, child-free, goes to the right clubs and knows which trainers to wear. He’s also found a great way to score with women: attend single parents’ groups full of available (and grateful) mothers, all hoping to meet a Nice Guy. 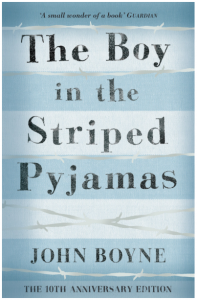 This astonishing novel, now a modern classic, was adapted for the acclaimed 2002 film About A Boy, starring Hugh Grant and Nicholas Hoult. 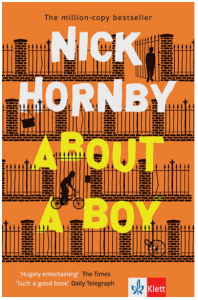 Fans of One Day by David Nicholls and Any Human Heart by William Boyd will devour this book, as will lovers of fiction everywhere. ‘I was looking for a quiet place to die. 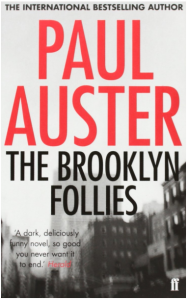 Someone recommended Brooklyn, and so the next morning I travelled down there from Westchester to scope out the terrain . . .’So begins Paul Auster’s remarkable new novel, The Brooklyn Follies. Set against the backdrop of the contested US election of 2000, it tells the story of Nathan and Tom, an uncle and nephew double-act. One in remission from lung cancer, divorced, and estranged from his only daughter, the other hiding away from his once-promising academic career, and, indeed, from life in general. Having accidentally ended up in the same Brooklyn neighbourhood, they discover a community teeming with life and passion. 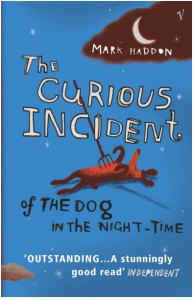 When Lucy, a little girl who refuses to speak, comes into their lives, there is suddenly a bridge from their pasts that offers them the possibility of redemption. 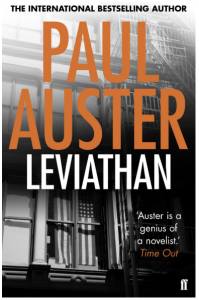 Infused with character, mystery and humour, these lives intertwine and become bound together as Auster brilliantly explores the wider terrain of contemporary America – a crucible of broken dreams and of human folly. The explosion that detonates the narrative of Paul Auster’s remarkable novel also ends the life of its hero, Benjamin Sachs, and brings two FBI agents to the home of one of Sachs’s oldest friends, the writer Peter Aaron. 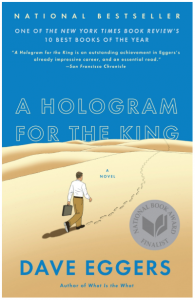 What follows is Aaron’s story, an intricate, subtle and gripping investigation of another man’s life in all its richness and complexity. 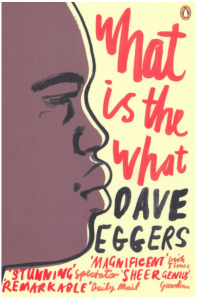 What is the What is Dave Eggers’s astonishing novel about one of the world’s most brutal civil wars. Valentino Achak Deng is just a boy when conflict separates him from his family and forces him to leave his small Sudanese village, joining thousands of other orphans on their long, long walk to Ethiopia, where they find safety – for a time. Along the way Valentino encounters enemy soldiers, liberation rebels and deadly militias, hyenas and lions, disease and starvation. But there are experiences ahead that will test his spirit in even greater ways than these . 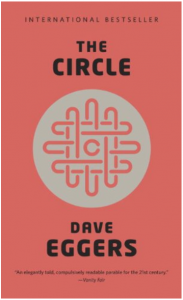 . .
Mae can’t believe her luck, her great fortune to work for the most influential company in the world-even as life beyond the campus grows distant, even as a strange encounter with a colleague leaves her shaken, even as her role at the Circle becomes increasingly public. 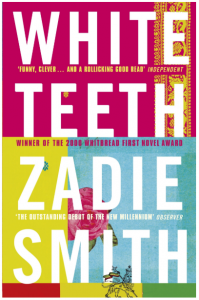 Published in the first month of the first year of the new century, Zadie Smith’s debut novel White Teeth – winner of the Guardian First Book Award and the Whitbread First Novel Award – was an immediate bestseller and stunningly acclaimed. One of the most talked about fictional débuts of ever, White Teeth is a funny, generous, big-hearted novel, adored by critics and readers alike. 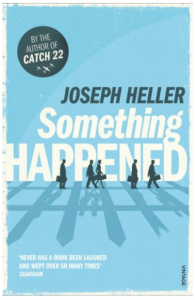 Dealing – among many other things – with friendship, love, war, three cultures and three families over three generations, one brown mouse, and the tricky way the past has of coming back and biting you on the ankle, it is a life-affirming, riotous must-read of a book. The story is very descriptive and with references to Spanish , so it’s a good one to develop vocabulary without having to use the dictionary all the time. I have read other books by Hemingway in English but this was the easiest one to get me started. Tessa Quayle has been horribly murdered on the shores of Lake Turkana in Northern Kenya, the birthplace of mankind. Her presumed African lover, a doctor with one of the aid agencies, has disappeared. 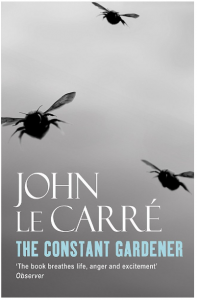 Her husband, Justin, a career diplomat and amateur gardener at the British High Commission in Nairobi, sets out on a personal odyssey in pursuit of the killers and their motive. 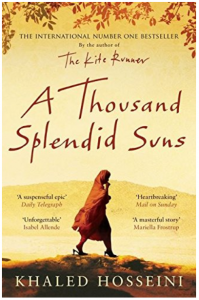 His quest takes him to the Foreign Office in London, across Europe and Canada and back to Africa, to the depths of South Sudan, and finally to the very spot where Tessa died. A very powerful story. 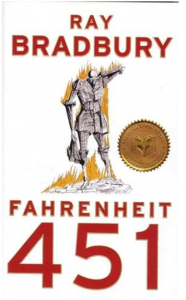 One of my favourite novels. 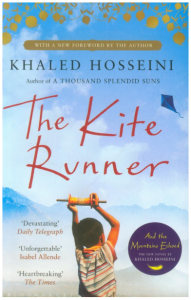 Another powerful tale by Khaled Hosseini. Very funny and easy to read.